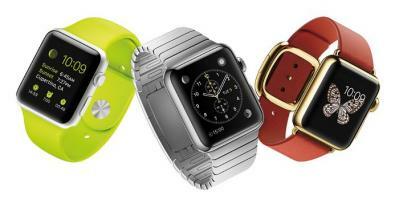 Apple's CEO Tim Cook announced that the company aims to ship their first wearable, the Apple Watch, in April 2015. Officially Apple said that the phone uses a "flexible Retina display", which doesn't really tell us anything regarding the technology, but according to several trusted sources, the Watch uses a flexible OLED display. It's highly likely that the flexible OLED supplier is LG Display. This has been reported months ago. We reported that Apple may be interested in signing a deal with SDC too for the same flexible OLEDs, but apparently that did not happen. Will Apple unveil the Watch's flexible OLED display on March 9th? Will Apple add SDC as a second flexible OLED supplier for the next-gen Watch?